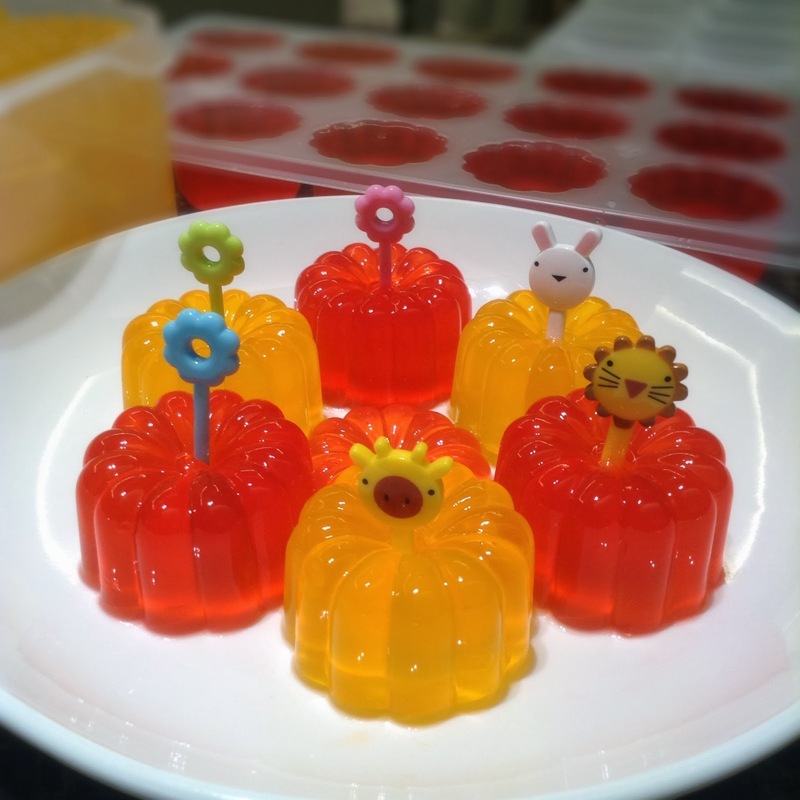 We name it Agar Agar in Singapore and Malaysia. It is actually Jelly. 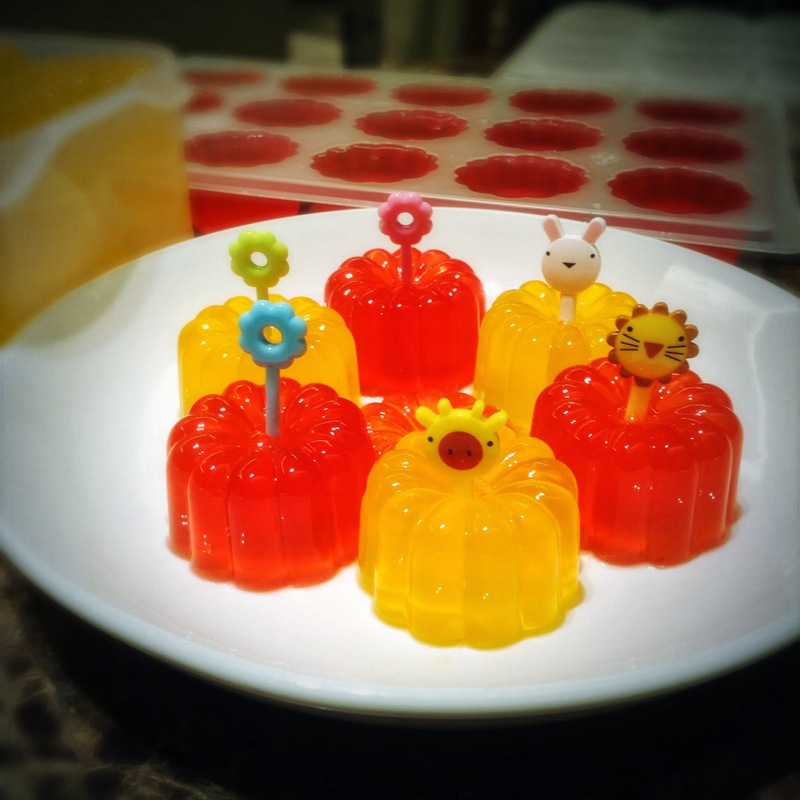 While we enjoy too much good food during the Chinese New Year season, this home-made jelly is simply refreshing amidst the rich Chinese delicacies. This is really simple to make. 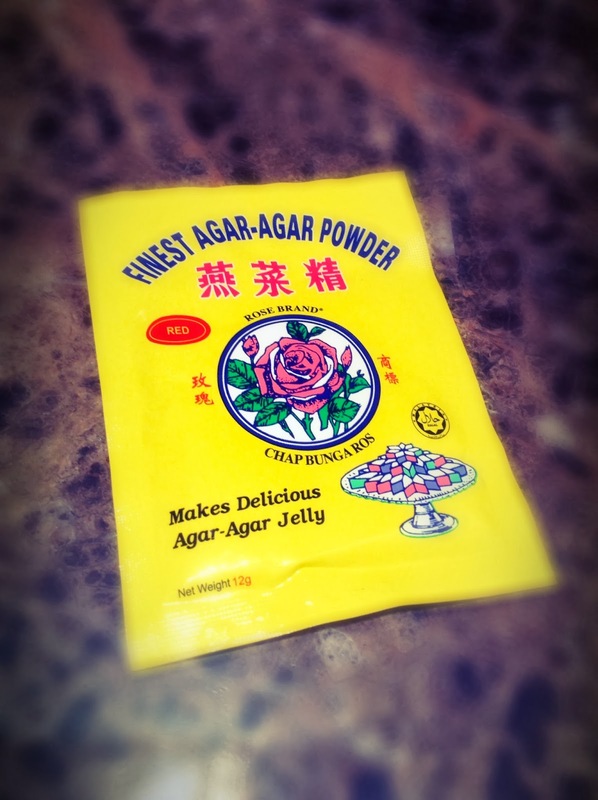 I am using the old-fashioned Agar Agar Jelly Powder. 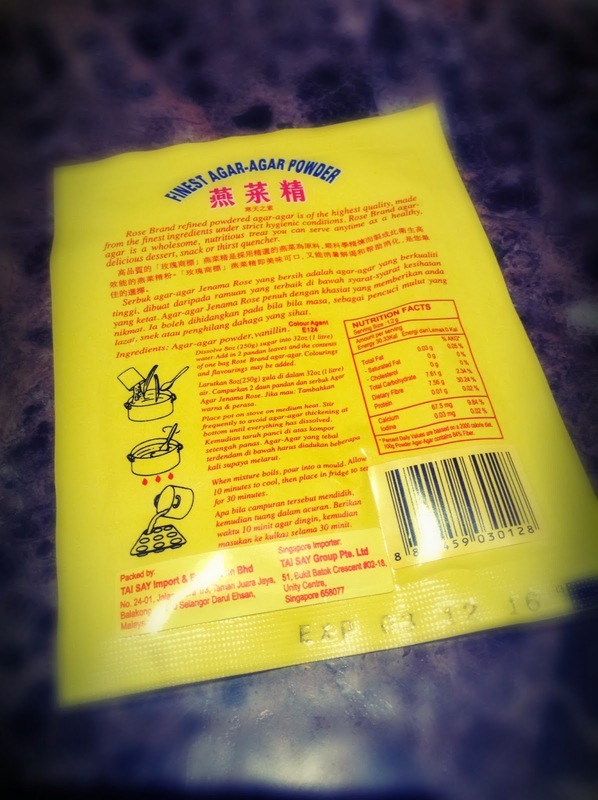 The printed instruction says "Dissolve 250g sugar into 1 litre water. Add in 2 pandan leaves and the contents of one bag agar agar. Colourings and flavourings may be added. Place pot on stove on medium heat. 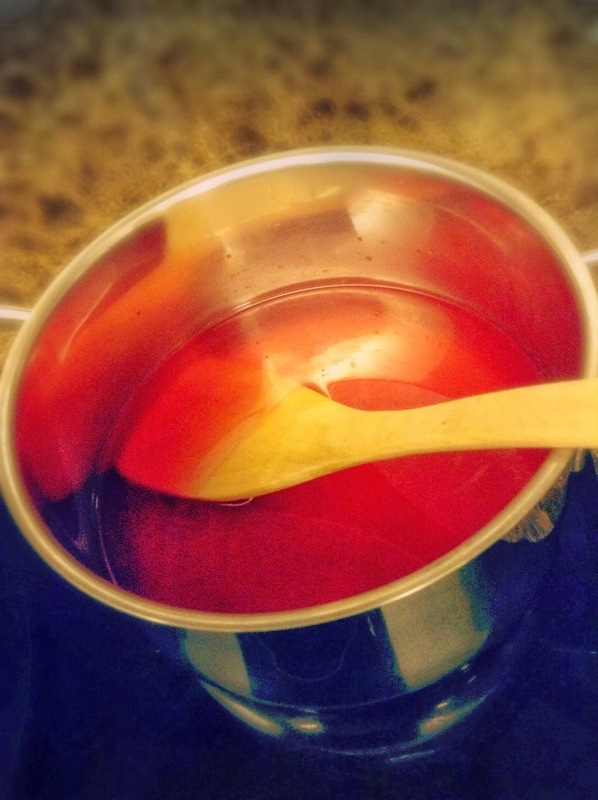 Stir frequently to avoid agar agar thickening at bottom until everything has dissolved. 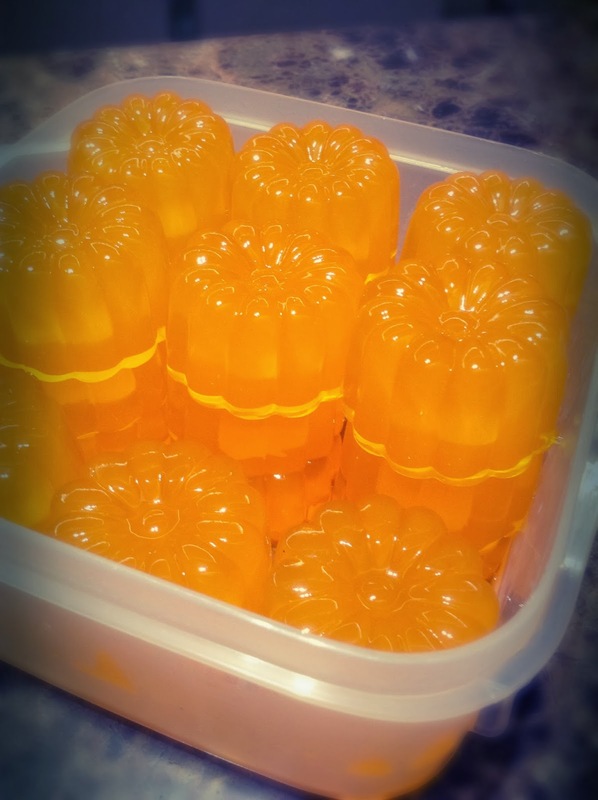 When mixture boils, pour into a mould. Allow 10 minutes to cool, then place in fridge to set for 30 minutes." 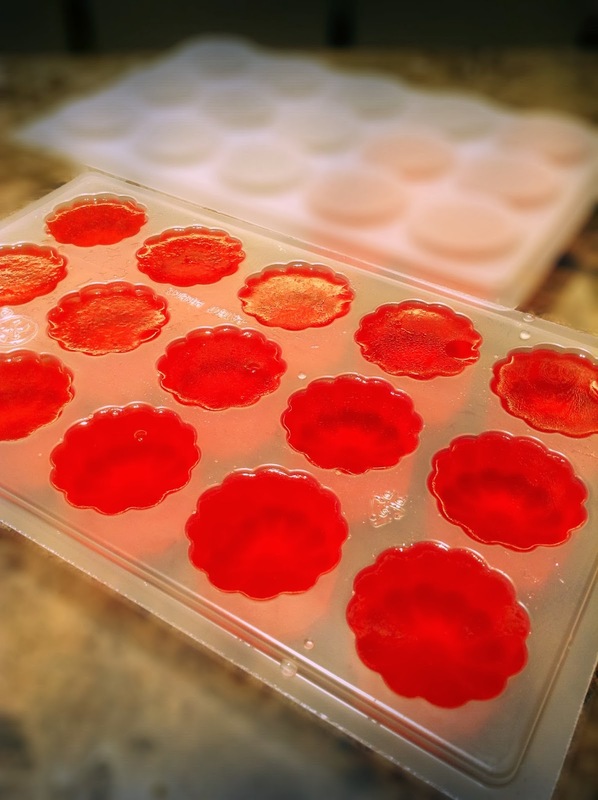 I find the jelly being too soft and sweet if I adhere to the instructions. I tweaked it a little bit. 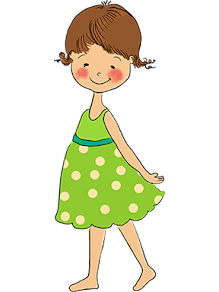 Otherwise, just follow the package instruction on the preparation methods and voila!